The 21 mile trail follows the Poudre River as it flows through Weld County in Colorado. The trails winds through a state wildlife area, natural areas, parks, and urban settings. Location: Greeley through to Windsor, in Weld County, CO. Many access points in between Windsor and Greeley east of I-25 and North of HWY 34. Stretching between the cities of Greeley and Windsor, the Poudre River Trail gives one a sense of what makes the high plains of Colorado special. 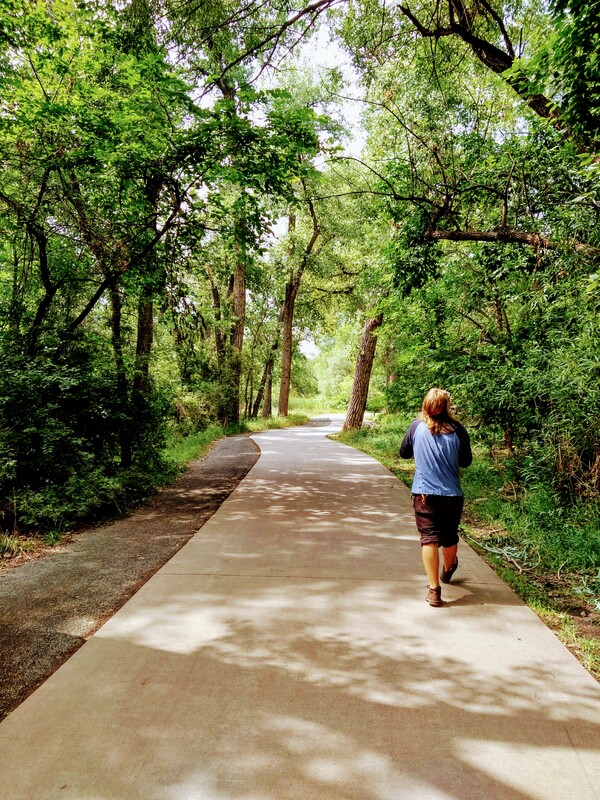 The 10-foot wide concrete trail meanders over 21 miles along the Cache la Poudre River in Northern Colorado, eventually to connect to the Poudre Trail further upstream in Ft. Collins. It travels through riparian habitat, agricultural crops, and natural prairie. Wildlife is abundant along the river with opportunities to view and photograph wild turkeys, deer, bald eagles, pheasant, muskrats, and beaver. As one winds along the trail gazing west are the purple mountains in all their majesty, to the east are the fruited plains. Looking to the south, one can witness the state's strong economy and growth and to the north are rich fields that inspired Horace Greeley's famous directive to "Go west young man, go west". 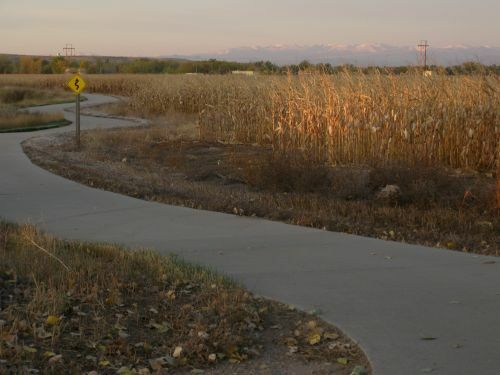 Poudre River Trail Corridor, Inc. came into existence from an intergovernmental agreement between Weld County, the Town of Windsor, and the City of Greeley. This partnership has been a model example of communities working together to provide the public an incredible amenity. Through the non-profit board's direction and tireless efforts, the trail has been pieced together over a 14 year period. Now the non-profit is coordinating with Larimer County as they, along with other government entities in that county continue the work to extend the trail west to connect to the existing trail in Fort Collins, CO. 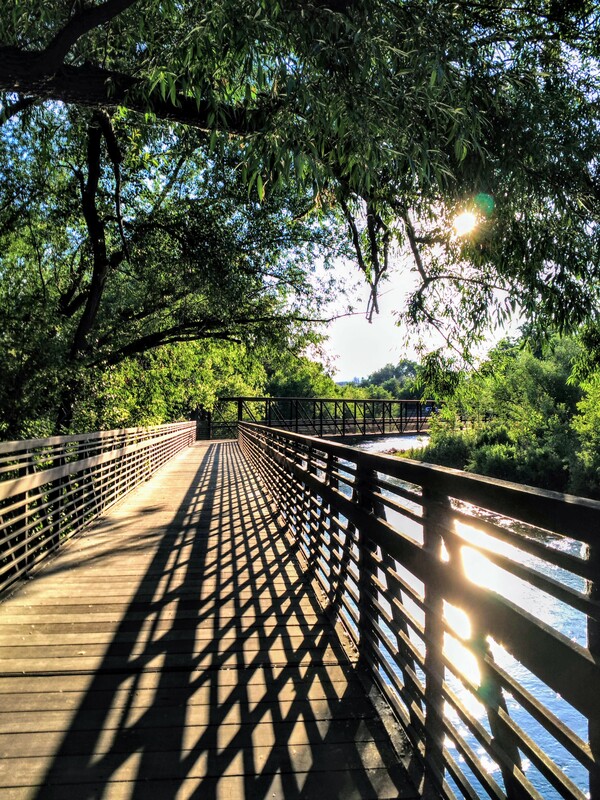 The unique nature of this trail extends from the partnerships to the cultural and historical significance the Poudre River Corridor has on the region and the nation. To enhance the trail experience trail sections are named to commemorate the cultural history of the area. These stories are depicted in art form carved into tall granite posts along the trail. 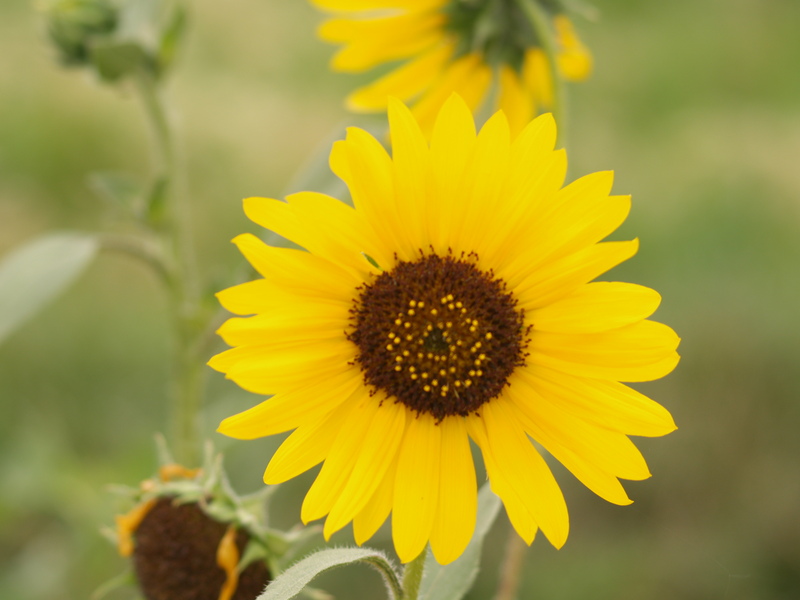 Full descriptions and backgrounds of the stories can be found on the Poudre Trail website. In 1996, Congress designated the Cache la Poudre River Corridor a National Heritage Area, the first one west of the Mississippi, due to the national significance the area played in developing water law. 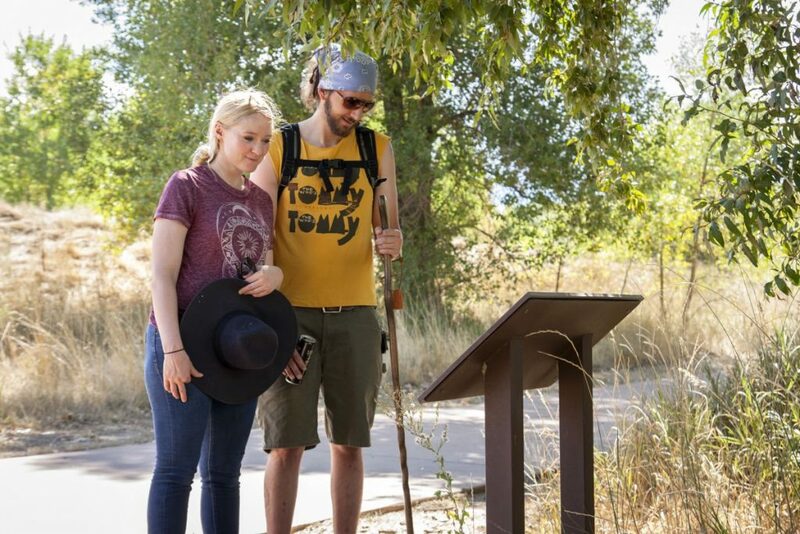 The Poudre River Trail conducts two annual community events to promote community awareness about the trail and the river corridor while simultaneously combining as fundraisers towards improving and maintaining the trail. 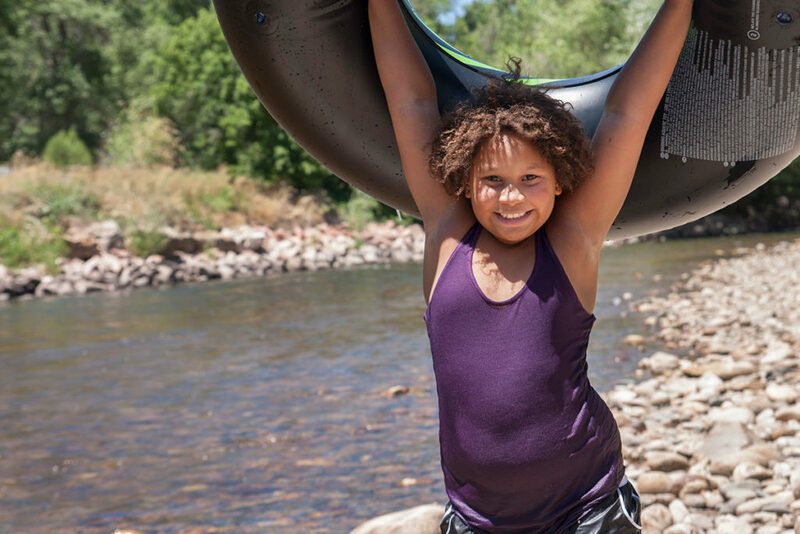 The Poudre River Trail-athlon in May and the Poudre River Trail Challenge in September are each unique and offer something fun for everyone, plus lots of free goodies. These events along with maintaining the trail are only possible through the dedication of great volunteers! As a non-profit the Poudre River Trail relies heavily on volunteers to keep the trail maintained and to help organize events. The Trail offers many recreational opportunities for users of all ages and abilities. It is a popular place for quiet reflection, to view wildlife, walk, bike, run, roller blade, spend time with family, and enjoy nature. One woman told of how her partially blind mother uses the trail because it provides an even surface that reflects light allowing her to be able to maneuver the trail on her own offering her a sense of independence and self worth. Thanks to the hard work of board members, contributors, and volunteers the positive affects of this trail are far-reaching and the project will become a lasting legacy for future generations to enjoy. The Great Western Sugar Beet Flume in Fort Collins. Photo by Jordan Williams. 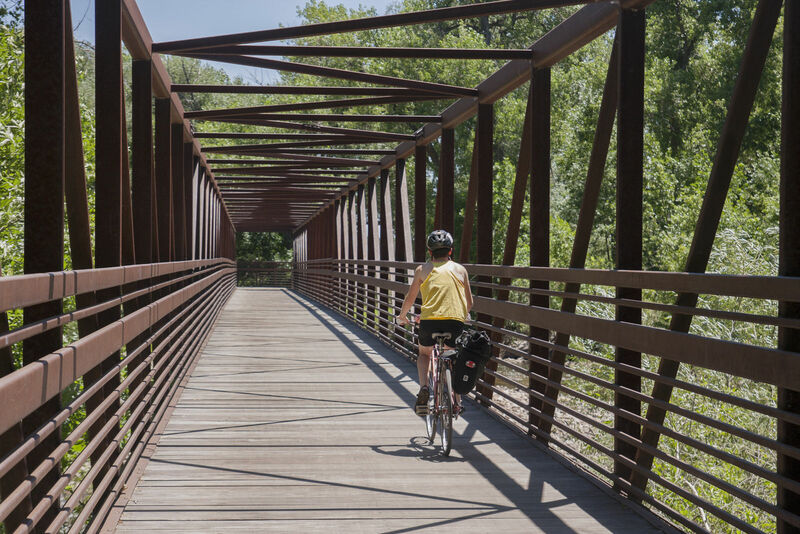 The Poudre Trail has many miles of paved trails and sturdy bridges to ride your bike on along the Cache la Poudre River. Photo by Gabriele Woolever. Two recreators pause on the Poudre Trail to read one of many interpretive signs installed by the Poudre Heritage Alliance. Photo by Gabriele Woolever. 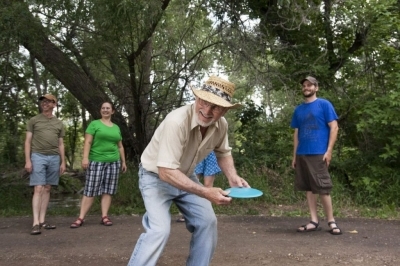 The Poudre Trail even has a frisbee golf course among the trees in Laporte, CO. Photo by Gabriele Woolever. Northern Colorado's first recreational water trail. Photo by Gabriele Woolever. The Poudre Trail bridge at Lions Open Space in Laporte, CO. Photo by Hailey Groo. 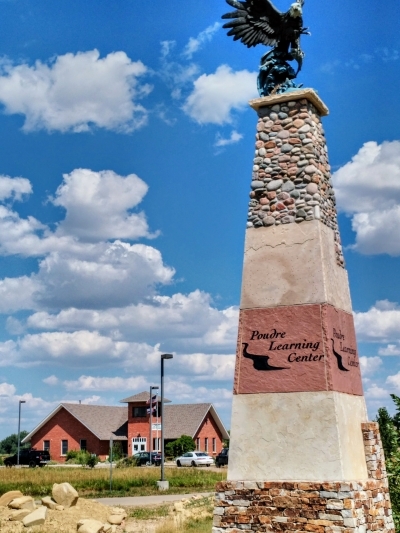 The Poudre Learning Center in Greeley and its historic schoolhouse marks the easternmost point on the Poudre Trail. Photo by Hailey Groo. You would never know you are in a city when walking along the Poudre Trail. Photo by Hailey Groo. Sunlight through the trees. Photo by Hailey Groo. 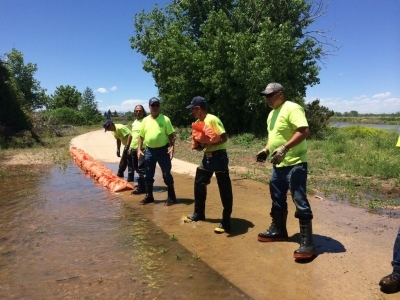 Volunteers work quickly to make the Poudre Trail accessible despite the seasonal spring flooding. Photo by Hailey Groo. Poudre River Trail - The best trail in northern Colorado. The Poudre River Trail is one of the best recreational amenities in northern Colorado. It provides a great place for everyone to enjoy nature, get some fresh air, and exercise all at one time. I particularly enjoy the wide variety of wildlife you can see. 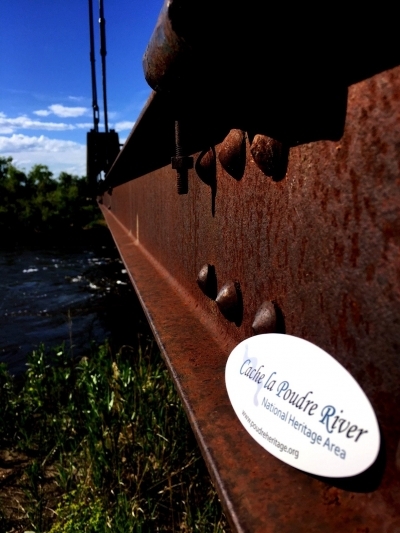 The area is also designated as the Cache la Poudre River National Heritage Area and provides a great place to learn about the history of Western Water Law and the development of irrigation in the arid west. There are interpretive signs with QR codes that give you access to great videos. You can learn more about the heritage area at www.poudreheritage.org.